OK, whatever term you want to use for it. But anyway, I interviewed Tony Wang, AKA Kylaran, while waiting to get May’N’s autograph. He’s a really cool guy and writes for the Nihon Review. Enjoy the interview of a fellow otaku! 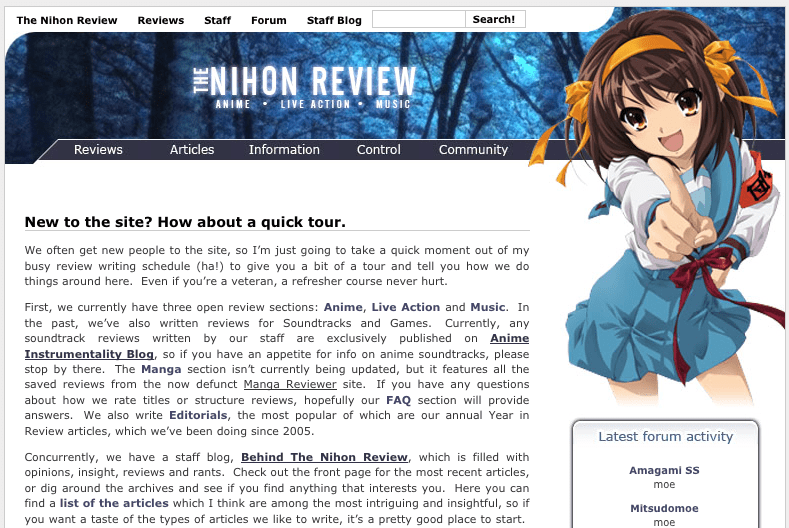 Interview with Tony Wang from the Nihon Review AKA Kylaran from Ray Hu on Vimeo. I just love young folks taking up the baton for the Anime Bloggersphere! Had a cool time speaking with him at the Deb Aoki Tweetup on Friday! Good work! Thanks, mate. Tony is a cool guy and the interview went smoothly. Thx, mate. Kylaran is a good fella. Oh wow, this is so embarrassing haha. Thank you so much for a wonderful weekend! I had a blast meeting all of you and getting to know you guys. I especially appreciate the wisdom all of you have imparted upon a new blogger such as myself. You guys have GREAT stuff from the interviews! I’m really looking forward to seeing the rest of your stuff from the weekend! We all had a great time. You were fun and really cool! Stay tuned for the rest of the coverage!